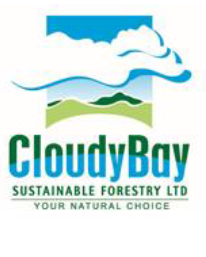 Cloudy Bay Sustainable Forestry Limited (the Company) holds deep concern over documents published in segments of the PNG press which purport to be notices issued by the Acting Managing Director of the National Forest Service. These documents contain various irregularities and are neither endorsed by any proper officer or authority of the National Forest Authority nor were they served on the Company by the Authority. Aside from the factual concerns with respect to the documents, it is profoundly troubling to the Company that these purported notices were disseminated without legal or other authority to media organisations, and not the Company in question. The Company is currently investigating the circumstances surrounding the creation of these documents and their dissemination. The Company and its Australian members are also in the process of consulting the Australian High Commission and the proper Authorities with respect to the matter. The Company seeks to reassure its stakeholders, staff and the public that all the necessary processes and safeguards shall be undertaken to protect the Company and its interests. The Company shall continue to work with all facets of both the local and national government and the relevant authorities to ensure the betterment of the local community and application of best practice sustainable forestry.